Wet Charged MF Vs. Dry Charged Car Battery: Which Do You Need? When you're investing in a car battery, you want to make sure you're getting a reliable product - after all, you don't want your car to run poorly (or not at all). This also means purchasing the right kind of battery for your car, your budget, and your needs. But shopping around for batteries can be daunting, especially when you're faced with all of this specialized terminology. What is a dry charged car battery? What does "wet charged MF" mean? Most importantly, which one do I need? Don't stress too much. This comprehensive guide to wet and dry charged car batteries will teach you exactly what all these terms mean, as well as giving you the knowledge you need to make an informed purchase. Ready? Let's get into it. First, it's helpful to understand our wet and dry charged batteries and their functionality. These kinds of batteries use an electrolyte to generate the electrical current that powers your vehicle - this is the same for both wet and dry cell car batteries. In our case, both batteries are secondary rechargeable batteries. However, they have a few key differences, especially in terms of usage. Let's look into these differences. The dry charged car battery comes without the electrolyte installed. This makes it ideal as a backup battery, as it can be stored for a long period of time without the fear of corrosion or leakage. This also means that the battery can be stored with no concern about its eventual performance. As soon as you install the electrolyte, the battery will begin working with no issues whatsoever. The wet charged - mainteance free functions in the opposite way - instead of having to install an electrolyte on your own, the wet cell comes with the electrolyte pre-installed. A wet charged battery can't be stored for a very long time before use. Therefore, it's best when installed immediately and put into use. Fortunately, though, this means that your maintenance on the battery is much easier because you don't have to install the electrolyte yourself. Now that we've looked into the differences in our wet and dry cell car batteries, we need to figure out which kind of battery suits your needs. We've compiled a few of the most important things to consider when choosing a battery here. Let's take a look. First, consider when the battery will be installed. For example, if you are buying a battery for your car and it needs to be installed today, a wet charged battery is probably your best bet. You can buy the battery, install it right when you get it, and take off to run some errands. However, if you're buying a battery as a backup for an existing battery, a wet cell battery will be the wrong choice. You don't want the wet cell to sit unused on a shelf, especially if it's going to sit longer than 6 months before recharge. In this case, the dry cell car battery will be the right choice. That way, you can store it for a while, pull it off the shelf when it's needed, install the electrolyte, and off you go! There is also a power difference between the batteries, so it's important to choose a battery based on your power needs. The dry cell car battery has casted plates with stronger resistance to breaking, though it may provide less cranking power than the wet cell. 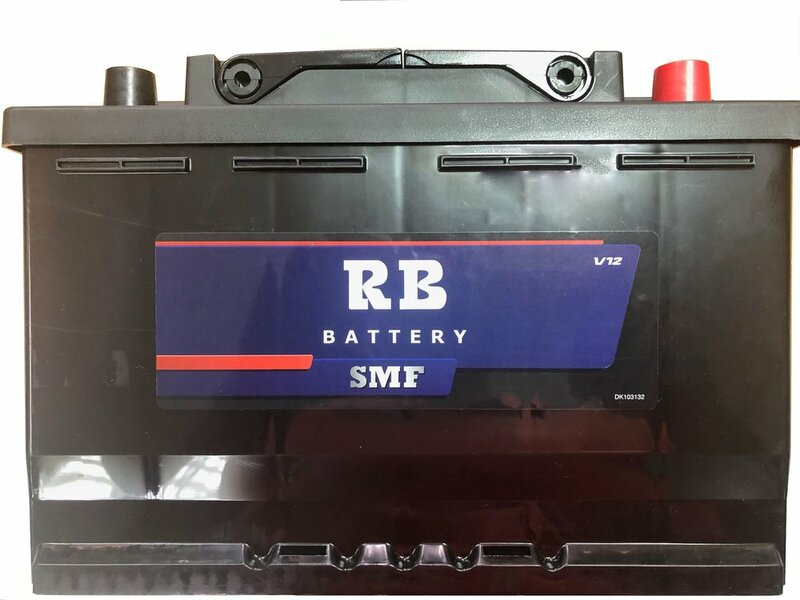 The wet cell car battery, on the other hand, provides a large power supply and reserve capacity, making it an ideal choice for heavy-duty vehicles. This kind of battery also sports a higher cold cranking start up, meaning your vehicle is ready for use faster in cold climates and snow. Both battery types typically boast a similar lifespan of on average 2 years, although this will be affected for the Wet Charged battery if it is not recharged properly while in stock, or if either battery is used incorrectly. In addition, use these specific tips when maintaining your vehicle's dry or wet cell car battery. Do not overfill a dry cell with electrolyte or water. Only fill a battery to our specifications. Overfilling a battery means that the battery can discharge excess fluid and damage your vehicle and the battery itself. Make sure to regularly check the battery's fluid level using the viewing port. Inadequate fluid levels can damage your battery, making it imperative that these levels are checked a few times a year. Additionally, check for fluid leakage or corrosion. While wet batteries are typically well-sealed, this doesn't mean that problems can't exist. There are some key differences between dry cell car batteries and wet cell car batteries, especially in terms of lifespan, ability to store the battery, and power levels. Always make sure you're choosing the right battery for your purposes and vehicle. But remember - you're not alone in this process. Whether you need help choosing a battery or you have questions about our offerings, contact us if you're unsure. Let us help you choose the proper battery for your needs, whether that's one of our dry or wet cell batteries.